Dow Jones Industrial Average (^DJI) Daily; Long Term; Bubbly atmosphere? Now is targeting 21000-22000point around. Today’s analyze is about Dow Jones Industrial Average (^DJI) Monthly. Tendency of Bubble is increasing day by day. 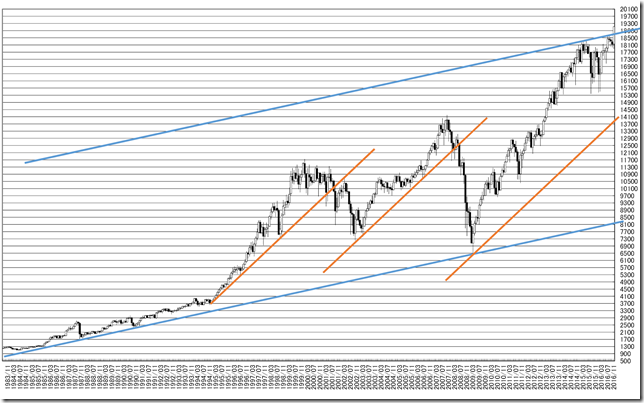 From the chart analysis, now may be the extreme bubble. 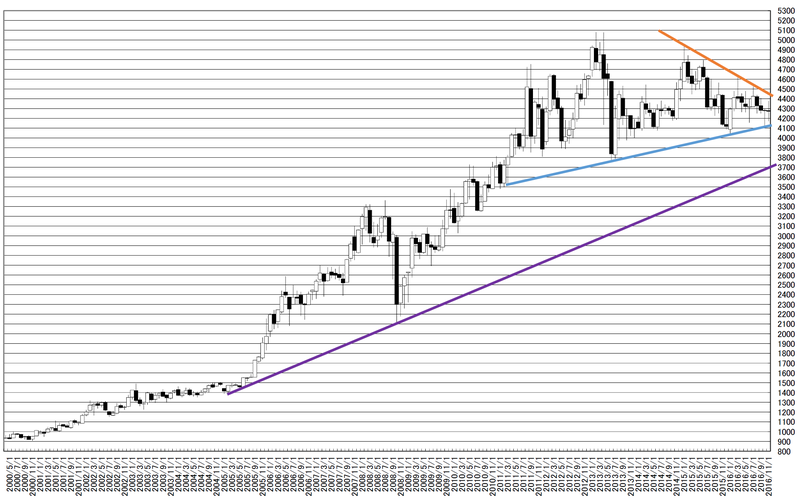 This is monthly trend line chart. The notable point is orange line. We can know now is the extremely bull market. 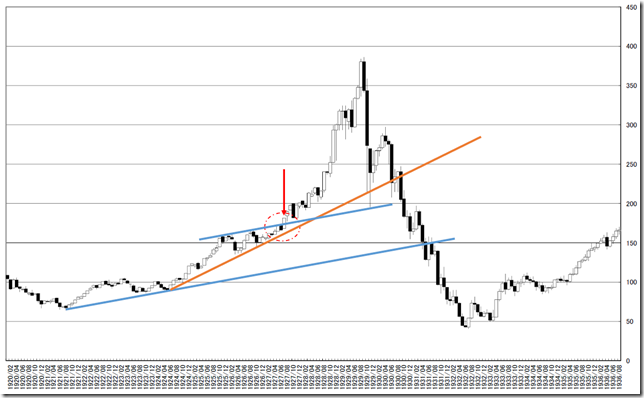 The most notable point is this market price was rounded but cut the most outer blue line. 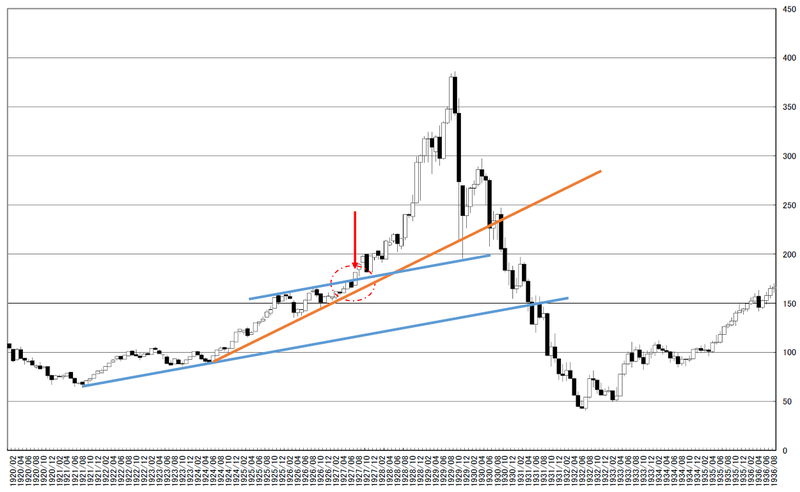 Comparing to 1929 market, red point is the cutting the most outer line. 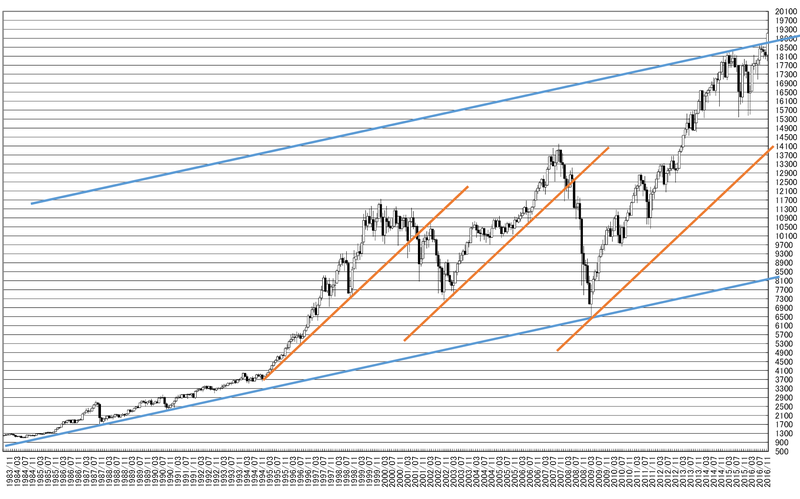 If now is bubble, trend final will be biggest rally. 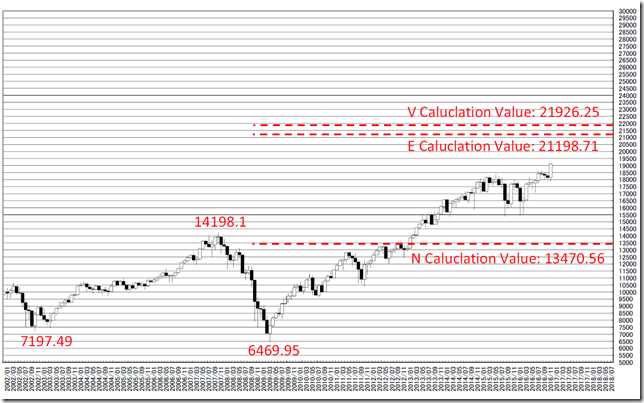 The latest target price is from 21000point to 22000point calculated by “ICHMOKU” method. Tokyo market gold daily; Now is the start of new trend but calm; cutting 3800point or 4500 point will be a trend. Now is the start of the next journey and beginning is calm. Our conclusion is cutting 4500 yen or 3800 yen will be the next trend. And we reported “Tokyo market gold monthly; candle stick without shadow will be the most notable signal” in 8/14/2016. NY Gold is sharp fall but Tokyo market is calm. We introduced “Tokyo market gold Monthly; Trend line; Resistance is 4400 yen high and Support is 4100 yen low” in 9/13/2016. The price range is narrowing. 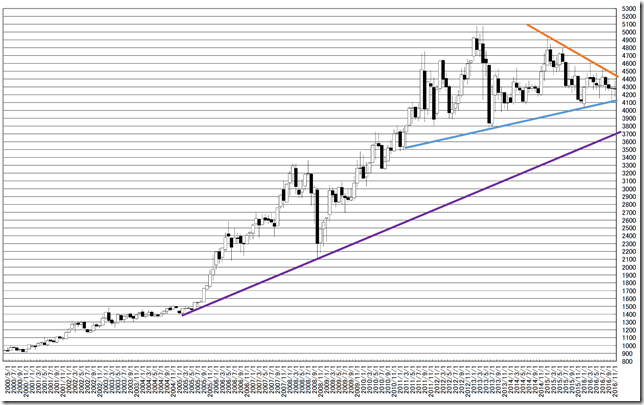 If the price will cut the blue line, the purple line will work as support. This is 25 price change and 3 box reversal close price’s Point and Figure chart. 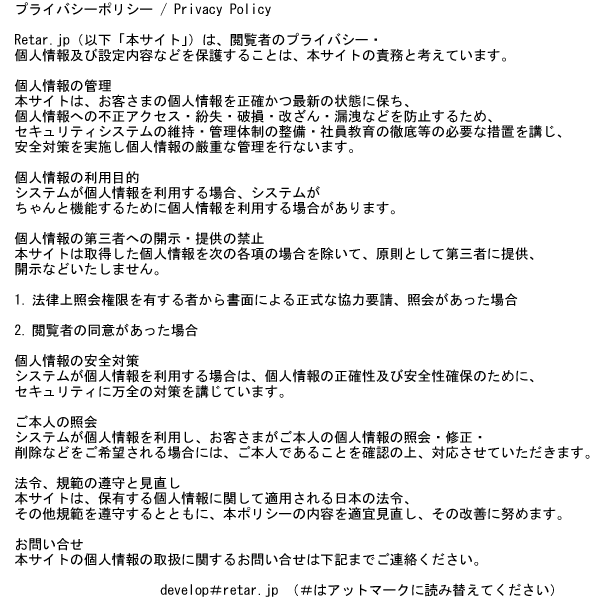 There are many support point from 4000yen to 3800yen. The resistance point is 4400yen.